Landart, and some installation art, is usually aimed at relatively temporarily manipulating the surface of the earth. AfrikaBurn takes place annually in the near-desert of the Tankwa Karoo, South Africa. It is a communal event unique to Africa, and manifests as a fleeting week-long series of interventions in the natural environment, partially aimed at creating and then actively destroying free-standing public sculptures, some of which are huge and intricate. AfrikaBurn gives any one of the thousands of participants an opportunity to be inspired on any scale to generate artworks that take into account a principle that no debris whatsoever is left behind on the surface of the earth after a week-long celebration of creative energies. Unlike, for instance, an artwork built on the edge of the Indian Ocean in the Eastern Cape, where rough tidal seas would ensure gradual destruction, at AfrikaBurn, the sacrificial method of choice is controlled rapid burning, under the direction of a specified firemaster. 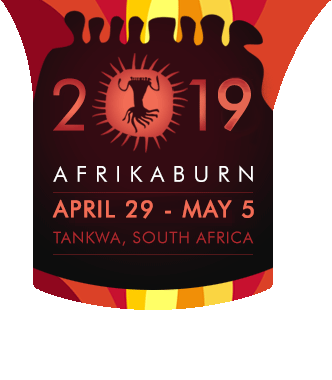 This paper seeks to unbundle some aspects of land and installation art in Southern Africa with specific reference to AfrikaBurn 2015 events and anti-fracking initiatives. For the full paper, as published in the South African Journal of Art History, issue 30(3) of 2015, please click here.